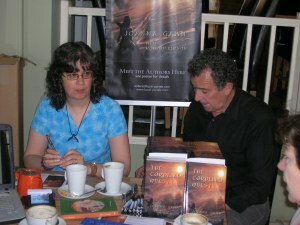 First up - our very first public booksigning at The Tangerine Tree Cafe in Totnes, Devon, on 3 July 2013. 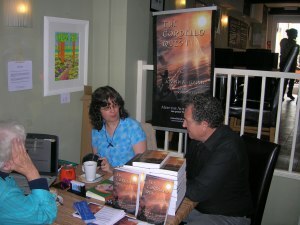 This focused on our first novel, The Cordello Quest, although we also invited guests to check out our first short story collection, The House of the Stormwind, and our new, free ebook, Crystal Fire and Water. 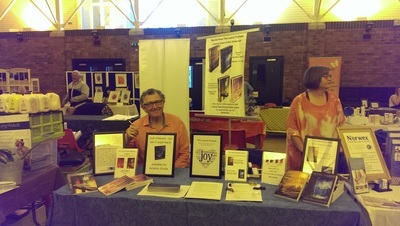 We also had some special Lazuli Portals pens to give away, as well as our usual bookmarks and business cards and some leaflets that Ron had designed especially for the purpose. 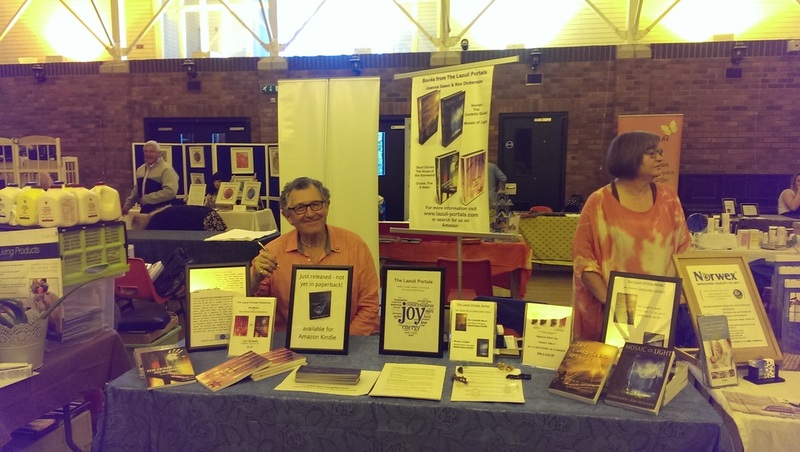 There were some marvellous synchronicities - our very first ‘guest’ was a lovely lady who’s written a book containing … yes, you’ve guessed it – crystals! Her novel’s heroine is named Tiera (whereas ours is, of course, Keira) and she said she simply had to come and meet us! Joanna had also sent Reiki and lovelight to the space ahead of time to ensure that it felt as positive and light as possible. She took a pouch of crystals along to further enhance the energy of the space. Some guests also brought their own crystals. We had a marvellous time! Our event has certainly given us the taste for meeting with more of our readers (existing and future) in person, and we’d love to do another sometime. 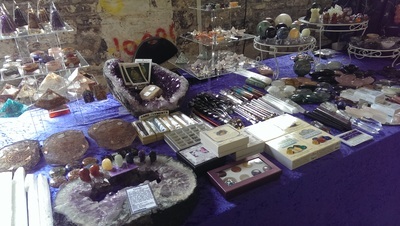 ​Our first Mind-Body-Spirit Fair: Reiki, Crystals and Synchronicities! 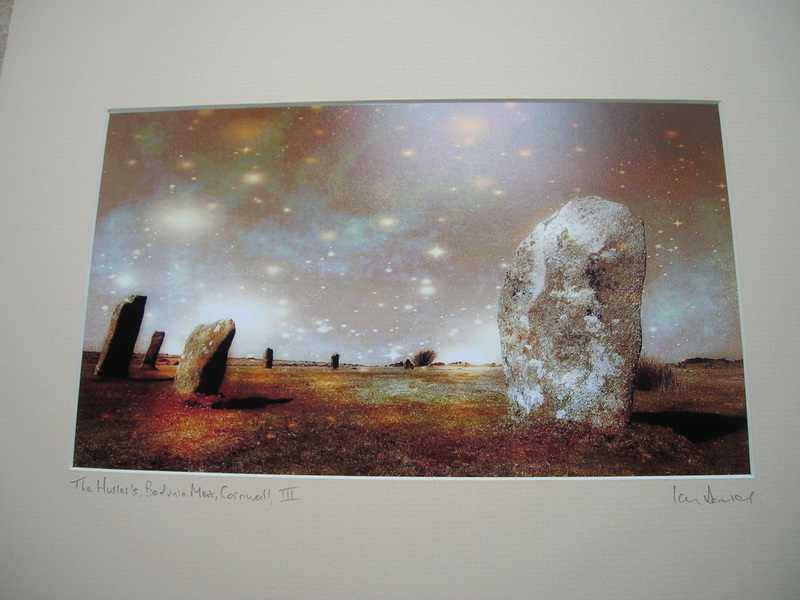 On St Piran’s Day, 5 March 2016, Ron and I attended our first MBS fair … as stallholders! A new experience, and one we’ve learned a lot from! 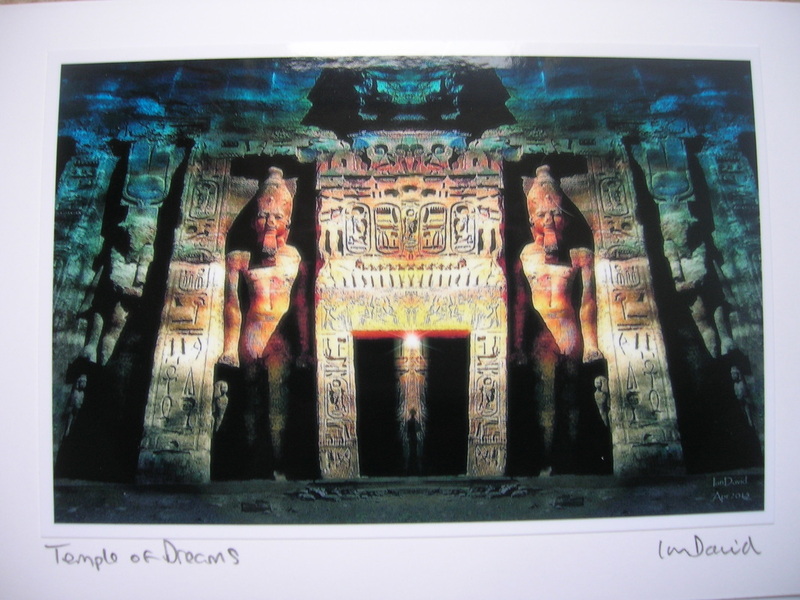 It’s been quite a while since we’ve been able to organise any sort of ‘public appearance’ by The Lazuli Portals. And not having presented at any sort of combined event before, we weren’t really sure what to expect! As it turned out, it was a very positive and rewarding experience. 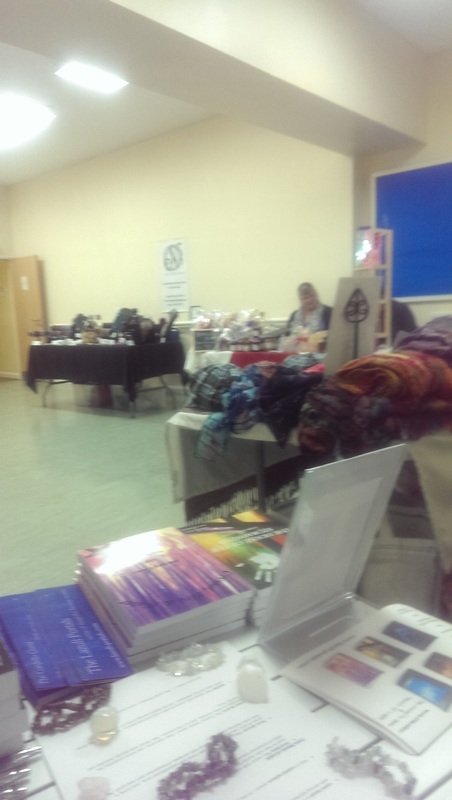 We had our stall in one of the smaller, upstairs rooms of the building in which the fair was being held. This is me, waiting for opening, with no clue Ron had me in shot (argh!) 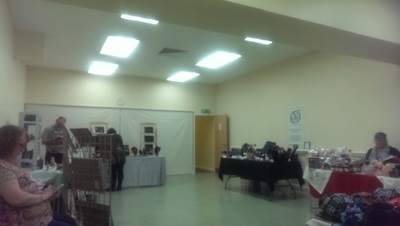 and a couple of pics of the rest of the room, with jewellery and woodwork comfortable companions with artwork, crafts, and accessories. (Apologies for the poor image quality). Once people were through the doors, we were really too busy to take pictures! I’d energetically cleared our space ahead of time, and all our flyers, handouts, bookmarks, crystal display, and books were freshly cleared and infused with lovelight or Reiki, so as to make our little corner as energetically pure, light, and inviting as possible. We knew that people who’d resonate with our energy and what we had on our stall would find us, without us having to be too ‘salesy’. 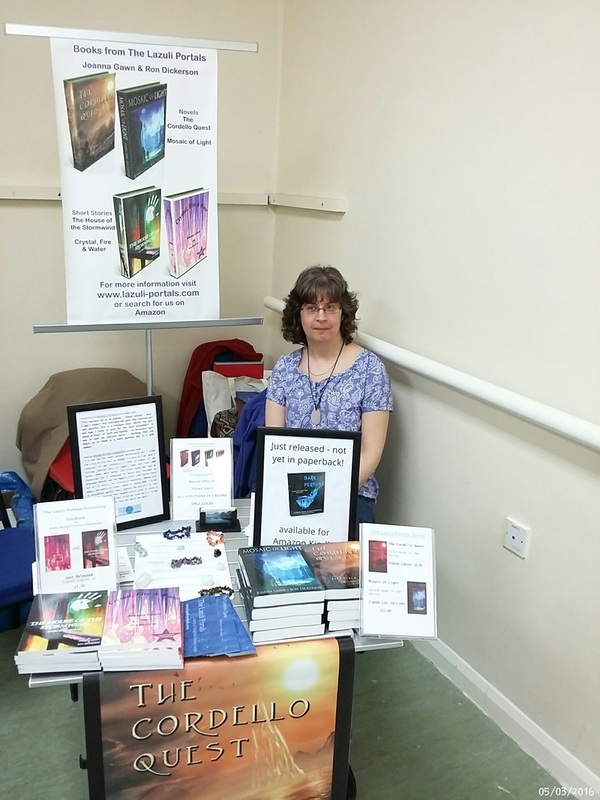 It was wonderful to see and talk with people interested in Reiki, crystals, healing, angels, and the metaphysical, as it was so easy to communicate and discuss our ideas, our passion for our work and its topics and themes, and being interested in spirituality generally. There’s just an immediate connection between ‘you and them’ that I think transcends other ‘interests’. I think the novels and duobooks that we sold have found good homes, where they’ll be enjoyed and well cared for! 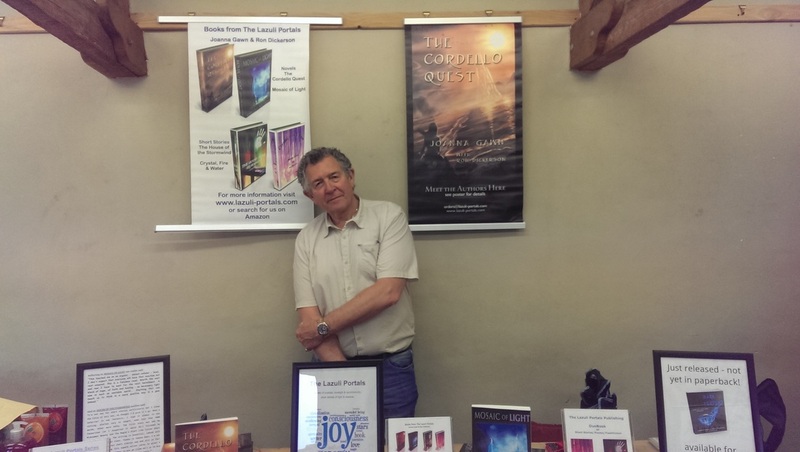 It was also affirming for us both, as authors of visionary fiction, to meet in real life people who get what we’re about, and understand the awakening process and its importance right now. 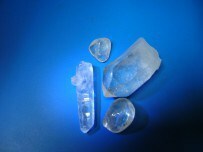 Several people said that the opalite caught their attention from the far side of the room, so they came over to see more. One lady took a liking to my lapis lazuli crystal chip bracelet and was disappointed it wasn’t for sale! 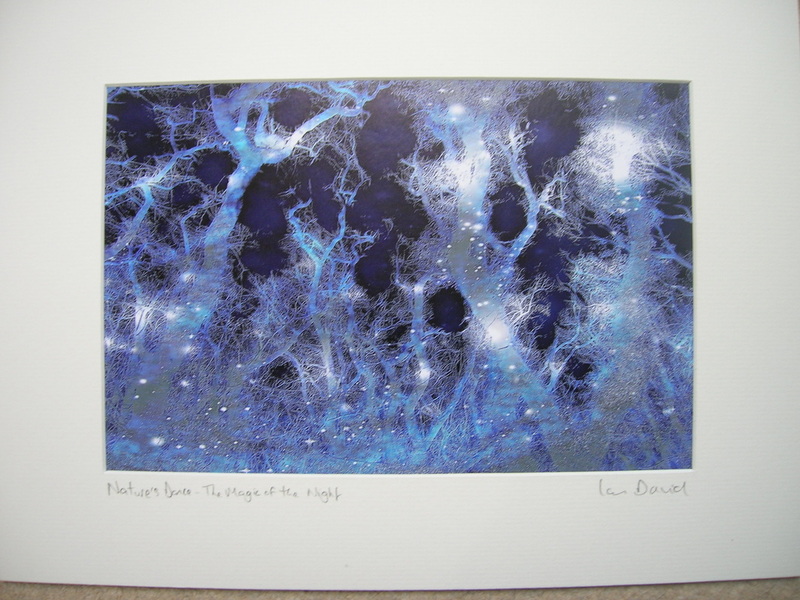 Ian’s leaflet says that he ‘’explores the uncharted worlds of ethereal, mystical and spiritual dimensions … my alchemy in action”. 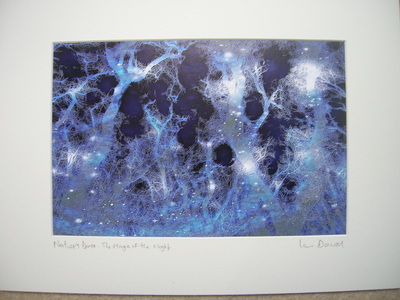 If you’re interested in Ian’s art, you can see (and buy) it on his etsy website:https://www.etsy.com/shop/IanDavidArt or visit his Facebook page. 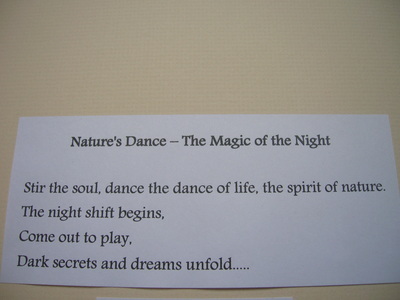 So all in all, a really great day, with loads to celebrate, think about, and consolidate as we move forward. 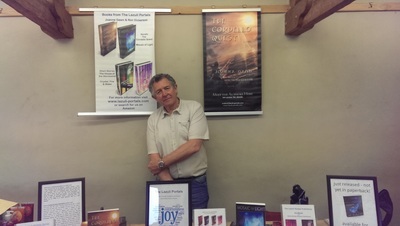 ​One of the things that really hit home with me is how essential it is that, for our paperback sales, we are present with the books so that we can connect with our potential readers. 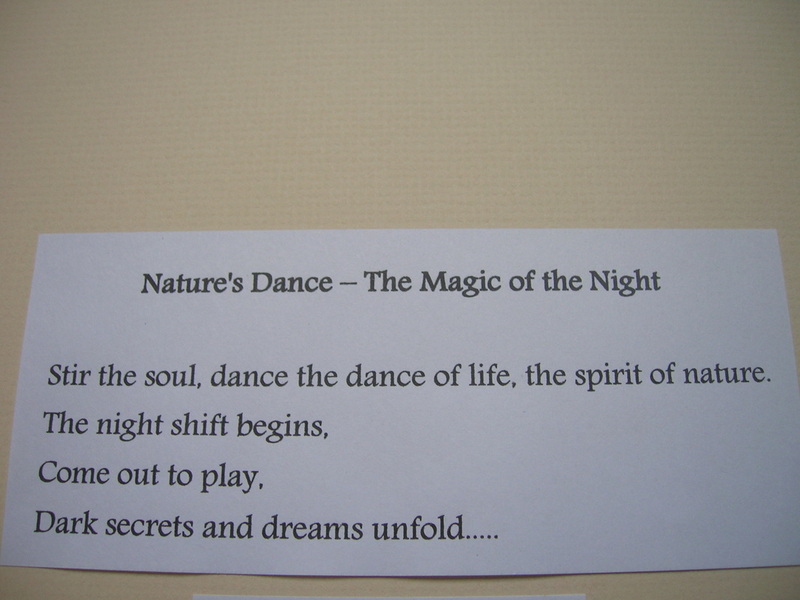 As authors writing in the metaphysical and visionary fiction genre, and as healers, we need to share our energy and our passion for both our work and for the greater context in which it rests. 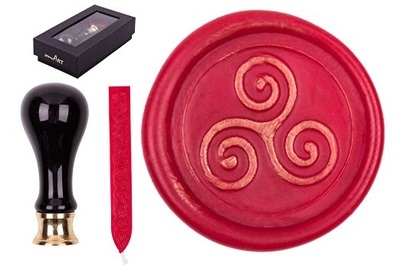 Please visit this blog post to read about our experiences at these two Plymouth fairs, and why we were dripping wax and imprinting triskele symbols!